The Museum of English Rural Life (MERL) is a museum dedicated to recording the changing face of farming and the countryside in England. It houses designated collections of national importance that span the full range of objects, archives, photographs, film and books. 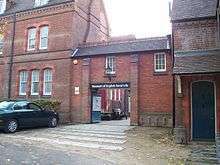 The museum is run by the University of Reading, and is situated in Redlands Road to the rear of the institution's London Road Campus near to the centre of Reading in southern England. The location was formerly known as East Thorpe House and then St. Andrews Hall. The museum's site was originally occupied by a house known as East Thorpe, designed in 1880 by Alfred Waterhouse for Alfred Palmer (of the Reading biscuit manufacturers Huntley & Palmers). Palmer was an important early benefactor of Reading University and in 1911 East Thorpe was extended to become St Andrews Hall, a hall of residence for women attending the university. The museum itself was founded in 1951, growing out of the university's long academic connections with agriculture. 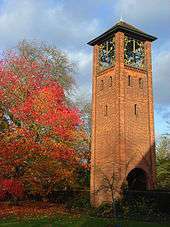 It originally occupied premises on the University of Reading's main Whiteknights Campus. St Andrews Hall closed as a hall of residence in 2001, despite some opposition from current and former members. The site was then redeveloped for the use of the museum, with the cost of £11m being shared by the university, the Heritage Lottery Fund and public donations. The redeveloped museum opened in 2005 and retains the original East Thorpe building, with the addition of an adjoining new building. The two contrasting buildings overlook restored gardens, providing a setting for a rural collection in an urban environment. The museum looks after 22,000 objects dating from the last 200 years. The collections include tractors, farm carts, mowers, hand tools, a portable engine and a threshing machine. The museum has a specialist library and houses other collections including the library of the Tools & Trades History Society. The museum is open on Tuesdays to Fridays from 0900 to 1700, and on Saturdays and Sundays from 1400 to 1630. The reading room is open on Mondays to Fridays from 0900 to 1700. Both museum and reading room may be closed on and around public holidays. No charge is made for admission. ↑ "University of Reading, Museum of English Rural Life". MICHAEL – The Multilingual Inventory of Cultural Heritage in Europe. Retrieved 2009-04-24. 1 2 3 "Doors set to open on rural museum". BBC. 2005-06-30. Retrieved 2009-04-25. 1 2 "About the Museum of English Rural Life". University of Reading. Retrieved 2009-04-24. 1 2 3 "Our History – Museum of English Rural Life". University of Reading. Retrieved 2009-04-24. 1 2 "The History of St. Andrew's Hall – a scrapbook" (PDF). University of Reading. Retrieved 2009-04-24. 1 2 "Admission and opening times – Museum of English Rural Life". University of Reading. Retrieved 2009-04-25. Wikimedia Commons has media related to Museum of English Rural Life.